AMMONNEWS - Jordan on Monday announced signing three agreements with Germany worth USD 133.4 million to fund projects in water and education fields in the kingdom. As part of Germany's pledges to aid Jordan in 2018, the agreements consist of USD 23.2 million as grant for the kingdom, while the other amount of USD 110.2 million will be easy loans. The agreements were signed by Jordan's Minister of Planning and International Cooperation Mary Kawar and officials from the German Construction Bank. On her part, German Ambassador to Jordan Birgitta Maria Siefker-Eberle, who attended the signing ceremony, noted that her country is committed to support Jordan in overcoming the economic impact of the Syrian crisis. 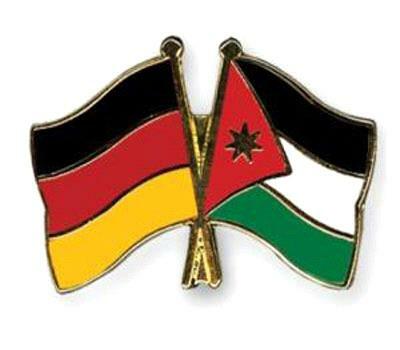 According to official Jordanian statistics, Germany is the second largest donor for the kingdom. Last year, Germany announced providing financial aid of up to USD 696.1 million for Jordan. The aid included funding vital projects and humanitarian aid for Syrian refugees in the kingdom.